1.TV-OUT Full Screen to Screen Format, switchable between 4:3 and 16:9. 2.Image Added an adjustable "Sharpness". 2. Disconnect from the computer, powering the camera via the mobile charger. And then turn on the Split-Mini with the micro SD card inserted. The camera will automatically update the firmware. 1. Optimize the recording effect. 2. Optimize the TV-OUT (FPV) effect. 3. Add Saturation and Contrast options. 4. Modify the OSD menu style. 5. Remove the Volume and Date stamp options of the OSD Menu. 2. Disconnect from the computer, powering the camera via the mobile charger. 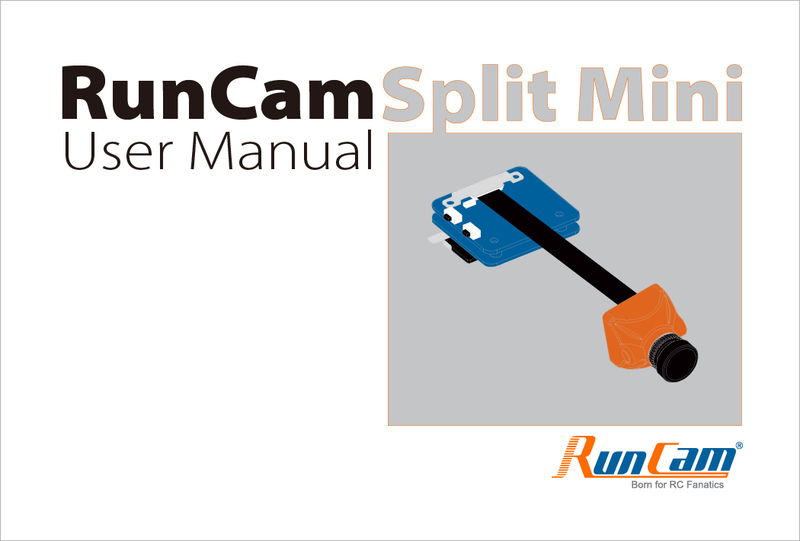 And then turn on the RunCam Split Mini with the micro SD card inserted. The camera will automatically update the firmware.